There is growing interest in the history of accounting amongst both accounting practitioners and accounting academics. This interest developed steadily from about 1970 and really ‘took off’ in the 1990s. 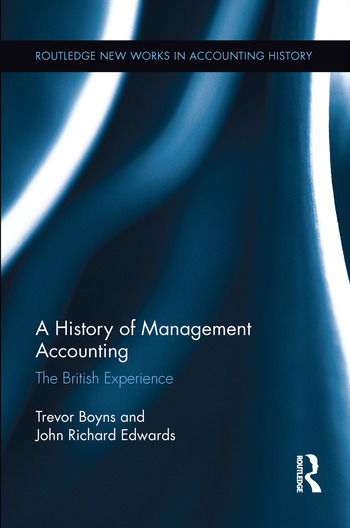 However, there is a lack of texts dealing with major aspects of accounting history that can be used in classrooms, to inform new researchers, and to provide a source of reference for established researchers.The great deal of research into cost and management accounting in Britain published in academic journals over the last twenty years–including the authors' own contributions–makes The History of Cost and Management Accounting an essential contribution to the field. John Richard Edwards is Professor of Accounting at Cardiff University, UK. Trevor Boyns is Professor of Accounting and Business History at Cardiff University, UK.